Jennifer Erb-Downward, a Ford School reseracher for U-M presidential initiative Poverty Solutions, was featured in the latest "MIchigan Minds" podcast on March 6. The interview explores a report from the reseach center about the degree, causes, and policy implication of student absenteeism. Michigan’s multifaceted plan to become a top-10 education state by the next decade must address the state’s high levels of public school absenteeism, according to the recent U-M Poverty Solutions report. Currently, “Michigan has the sixth-highest chronic absenteeism rate in the country” as one-in-six children in K-12 miss 10 percent (18 days in Michigan) of school days or more. The research’s key finding, according to Erb-Downward, is the high-rate of absenteeism amongst homeless and impoverished children. According to the report, “Economically disadvantaged and homeless students together account for close to half of all students in Michigan, and make up 75% of all students chronically absent.” Furthermore, elevated rates of absenteeism clearly demonstrate the effects of race and disability components. With 36,000 students in Michigan considered homeless, the problems associated with school absenteeism spans across the entire state while varying according to school district. The pervasiveness of absenteeism ultimately effects proficiency as students who are more likely to miss school are more likely to perform at lower levels and dropout. Erb-Downward remains hopeful, however, that we can still reverse the trend with proactive responses and effective policy. Among her recommendations are outreach to families even after one missed day so to ascertain the reasons for the absence and assist whenever possible. 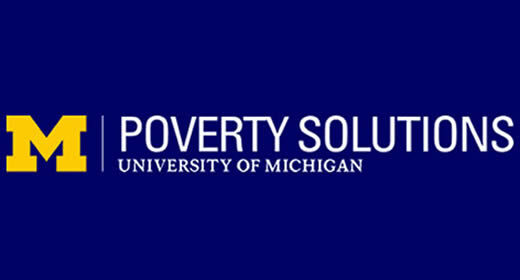 Listen to or watch the "Michigan Minds" podcast here and click here to read the full Poverty Solutions report.